We are sad to share the news that our dear friend and colleague Dr. Jay Kirkpatrick, the founder of The Science and Conservation Center, passed away earlier this week from a brief but serious illness. 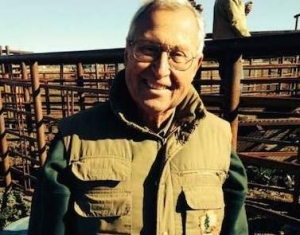 Jay was a dedicated pioneer in the field of humane wildlife management and provided leadership to so many of us as we navigated the boundaries of science and politics in the controversial and complicated issues surrounding wild horses. Jay was a trusted friend and mentor. 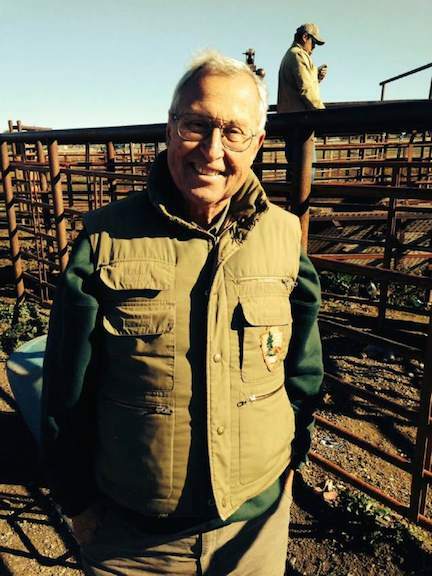 He was always generous with his time to help Return to Freedom chart new territory in creating the least invasive and humane management possible for the wild horses at Return to Freedom’s American Wild Horse Sanctuary, so that they could live as natural a life as we could provide within our fences. He was an active and accessible member of RTF’s Advisory Board and did so much for Return to Freedom’s program to make our vision possible. Jay was a true conservationist and his compassion served all wildlife. His work developing humane alternatives to managing wildlife populations was visionary and genuine. I remember one of our adventures together was a trip Jay and I took to propose a solution for some 500 wild horses on a 600,000 acre private ranch. As we were driving through the vast area, one of the range managers shot a mother coyote. Jay went silent until we got back to the lodge. He was deeply disturbed stating emphatically that that was NOT true conservation- that the death of that coyote mama means a den of pups will suffer as they starve to death. I have saved all my emails from Jay as they are articulate with wit, insight, humor, frustration and tons of information. Jay will be missed. His passing is an irreplaceable loss for those who knew him as well as the larger wild horse and wildlife community. Our deepest condolences go to his wife Kathy and his colleagues Robin Lyda and Kim Frank at the Science and Conservation Center who have been part of Return to Freedom’s extended family for over 16 years. We are proud to have called him a friend, mentor, Advisory Board Member and a colleague. We are informed that measures have been taken by The Science and Conservation Center to prepare for the seamless continuation of the work that he was dedicated to for 45 years.